Microsoft Dynamics 365 is being called a “game changer” and “the next generation of intelligent business applications.” But with all its many different options, some will have questions about the product and about other Microsoft solutions they may have used in the past. 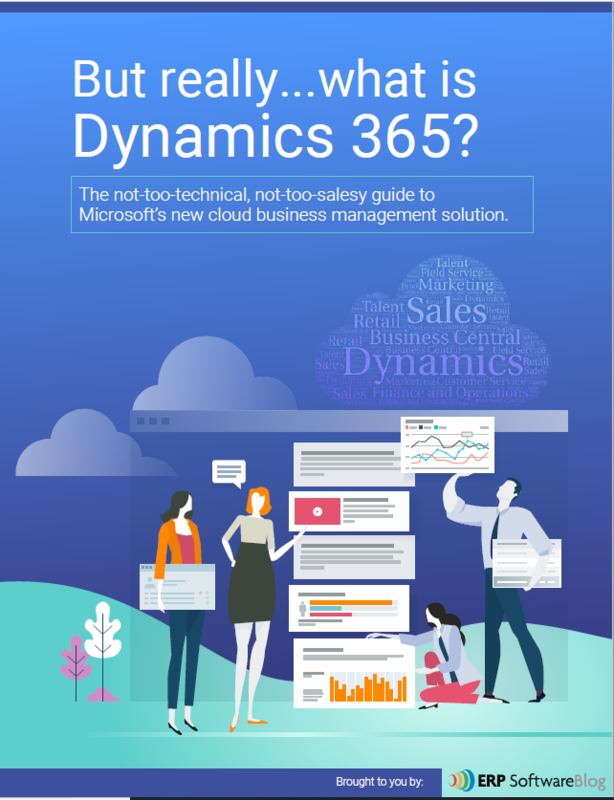 So, what is Microsoft Dynamics 365, how does it differ from Dynamics 365 Business Central and other Microsoft Dynamics solutions (AX, NAV, GP, SL, CRM)? Request a free automated Quick Quote for Microsoft Dynamics ERP pricing - including Microsoft Dynamics 365 - at www.erpsoftwareblog.com/quick-quote.